Amazon continues to take up to 70% off a selection of overstock items. Plus, Prime members bag free shipping on all orders. Shop for a little bit of everything — from groceries to beauty products, jewelry, electronics, homewares, toys, and more. Today only, Macy's offers the Levi's Men's Field Jacket in several colors (Camo pictured) for $69.99. Opt for in-store pickup to avoid the $9.95 shipping charge. (Orders over $75 ship free.) That's $70 off list and the lowest price we could find. It's available in sizes S to XXL. Venus offers the Venus Women's Faux Suede Skirt in Black for $29.99 plus $7.95 for shipping. That's $14 off list and the lowest price we could find. It's available in select sizes from 6 to 16. Kohl's offers the Apt. 9 Men's Premier Flex Slim-Fit Crewneck Sleep T-Shirt in Patriot Heather, Sapphire Heather, or Dark Chili Heather for $5.99. Opt for in-store pickup to avoid the $8.95 shipping charge. That's $9 off list and the lowest price we could find. It's available in select sizes from S to XXL. Walmart offers the Heirloom Storage Cabinet with Four Shelves in Black or Cherry for $122 with free shipping. That's the lowest price we could find by $22, although we saw it for $13 less a year ago. It features two adjustable shelves and two tempered glass doors. Good deals are still available before school starts, but you can save money by purchasing clothing, backpacks, and other items later. While the early bird may get the worm, sometimes waiting has its rewards. Not long after you've celebrated the 4th of July, the ads start appearing for back-to-school clothes and supplies. It's a sobering reminder for kids that summer is half over, and for parents that they should prepare for the hit to their wallets. Last year, the average family with children in grades K-12 planned to spend about $630 on back-to-school shopping, and the average college student or college family planned to spend $899, according to the National Retail Federation. The annual ritual certainly isn't cheap. No doubt, if you have really specific items that may be in short supply, it makes sense to buy sooner rather than later. However, waiting to shop until after school starts can pay off. "Early bird" specials will be available, but after school begins, many products will be on sale for 50% to 75% off retail prices. If you're looking to save money, wait to buy these six back-to-school items until after school starts. Before you buy anything, go through drawers, cabinets, and closets. You're likely to find unused supplies from previous years and see that the kids don't need as much clothing as you think, or that they have enough to get started so that you can shop after they've been in school for a few weeks. Realize, too, that in the beginning of September, most places in the U.S. are still warm to hot. "Your kids can get away with wearing their summer clothes for the first month or two," consumer expert Andrea Woroch says. "Retailers will begin promoting fall apparel as early as July to capture those back-to-school sales, but the real deals come at the end of September or during Columbus Day sales." Having a cool lunch box is a must. While your children may balk at the idea of brown bagging it for a week or two, convince them that waiting will let them check out the styles and that they can scout around and find something unique. "If you purchase a lunch box before school starts, your child may become disinterested in their selection and want what their friends have." "Prices drop considerably once school starts, and you can find good deals then," says Leslie Tayne, debt attorney and the author of Life & Debt . 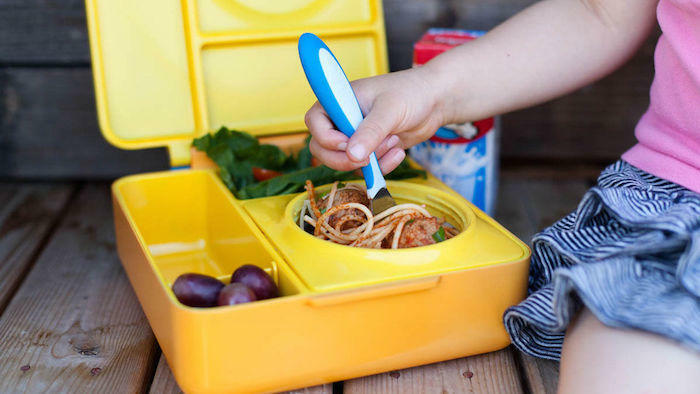 "Know, too, that if you purchase a lunch box before school starts, your child may become disinterested in their selection and want what their friends have. Look for lunch boxes at stores like Target and Walmart for great deals." Even more important than the "right" lunch box is the right backpack. Anything less than trendy will not do. Retailers know how important they are, so they are often the one type of item stores resist marking down significantly early. "Use last year's backpack until the end of September, when backpacks will be discounted," Tayne says. "If your children simply can't wait, consider getting one online at places like Amazon, where you'll likely get a better deal." If a tablet or new computer is on the list, try to hold off until Cyber Monday, Woroch advises. "This is when the best deals on gadgets are released. In fact, Cyber Monday is really the kickoff to big holiday sales, so any time through Christmas will be the best time to buy those goods." If your child will be going away to college, resist the urge to send him or her off with everything but the kitchen sink in tow. This makes sense for several reasons. For one thing, without communication, roommates may both show up with a minifridge, microwave, and more of the same items. "Wait until your child settles in his or her dorm room, so you can decide who will buy what items and they'll know how much space they have for certain furniture pieces," Tayne says. Even though college students typically leave for school in August, Tayne points out that televisions often go on sale in September with the beginning of the NFL season. There's often no getting around buying textbooks, but you don't have to buy them immediately, especially for a class that is an elective. "Make sure you like the class before you purchase a textbook. You don't want to be stuck with a book you paid full price for if you end up dropping the class in the first week," Tayne says. "You may even find the professor doesn't opt to use the textbook the school recommends. Consider purchasing your textbooks from websites such as Chegg and BIGWORDS." Readers what back-to-school items do you hold off on buying until after school begins? What things do you purchase before school starts? Let us know in the comments below! 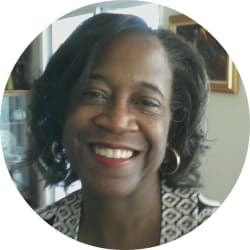 Sheryl Nance-Nash is a New York City-based freelance writer specializing in personal finance, small business, general business, and travel. Her work has appeared in The New York Times, Money, DailyFinance.com, Forbes.com, and many more.